3D-Nand technology enables a higher sequential recording speed and uses the cells of higher density, so this flash is not only fast but also high resistant to physical shocks. The price is quite high. 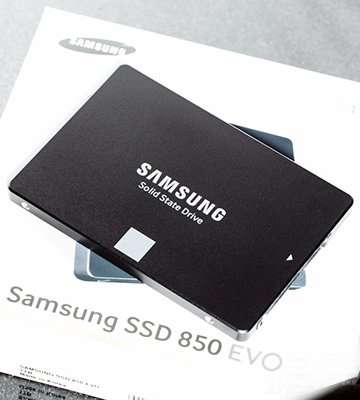 If you need an SSD with top of the line performance and standard form factor, the Samsung 850 EVO is the one to go for. With it, you can be sure that you'll get the maximum usage space on your laptop, netbook, or ultrabook. 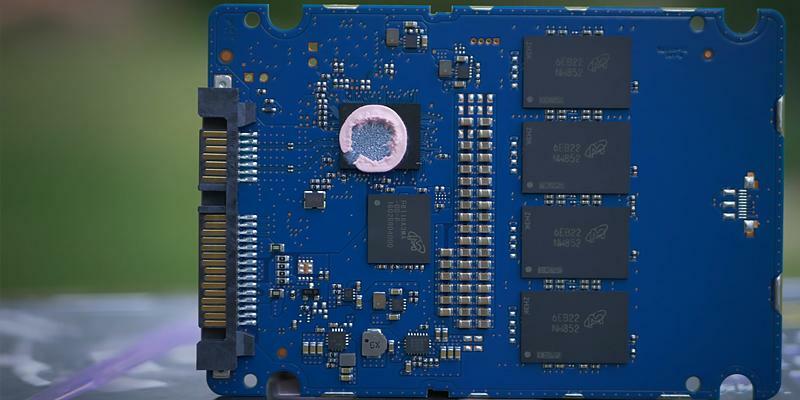 Due to the innovative 16-nm 3D NAND-type memory, the manufacturer managed to make this SSD 13x faster and 2x more reliable than any HHD. With the implementation of the Extreme Energy Efficiency technology, it's also become 90% more energy-efficient. It's advisable to update original software to the latest version for proper use. The Crucial MX300 internal SSD that incorporates 256-bit AES encryption will not only boost performance of your computer but will also contribute to its secure operation. A great value for the money. The manufacturer provides a free software that has been developed in collaboration with the popular Acronis and enables users to create quickly partitions and transfer full OS with all applications from the old HDD to this SDD. 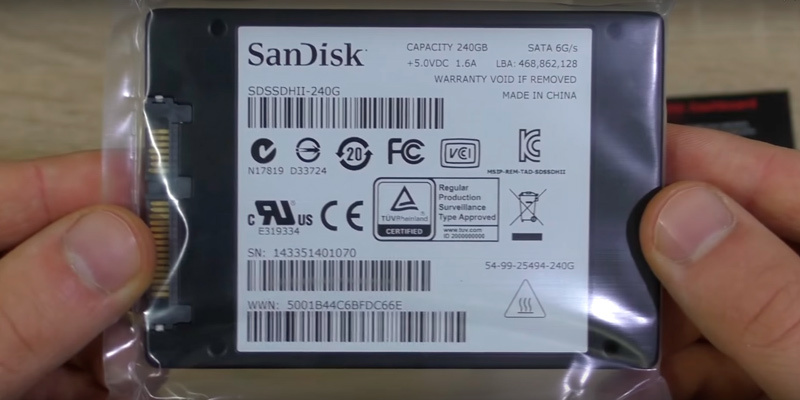 You may come across WD-Blue SDDs that include SanDisk components. This drive is the optimal choice for everyday use. 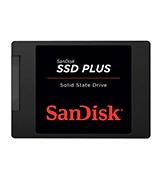 You can use this SSD with your old or inexpensive laptop to increase effectively its speed and performance. The UV400 Kingston SSD boasts very high reading speed as compared to SSDs of the same capacity. Can be shipped in different housings. At a relatively low cost, you may get a solid state drive which specifications will be great for both modern and old desktop computers. 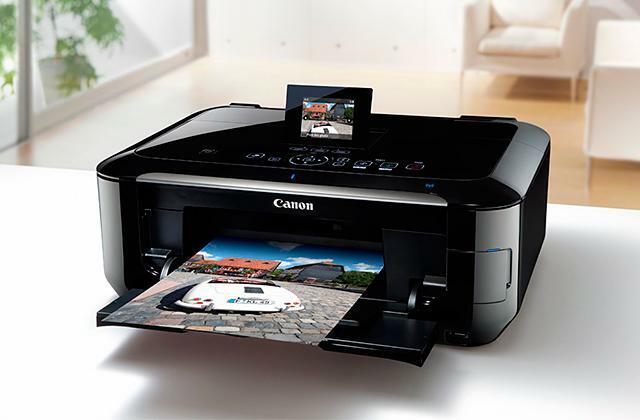 It can also be used with laptops due to its high energy efficiency. Protected from physical shocks and vibrations, the SDSSDA0-240-G25 boasts very long service life. If your laptop is used in harsher conditions than normal, it will be the right choice. 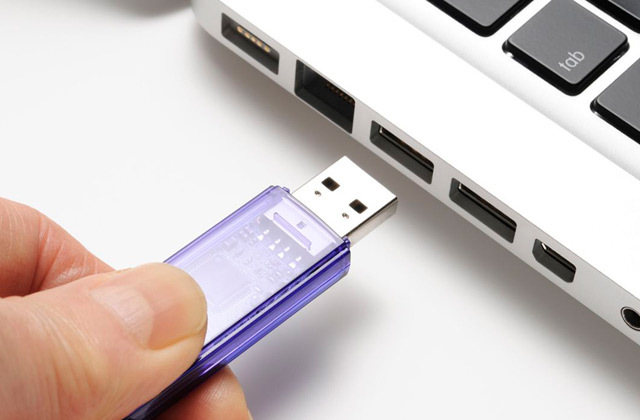 This SLC-type flash will be suitable for users who most often use their computers for work rather than data transfer. Due to the fact that this model is available in 120GB, 250GB, 500GB, 1TB, and even 2TB, you can choose the appropriate memory for your needs. For our review, we've picked the disk with 120GB memory capacity which can be used along with the hard drive memory as an additional storage. Like we've mentioned above, a lot of users today tend to back up and store their OS on solid state drive disks. If this is the same what you need the SSD for, the 120GB will be more than enough. 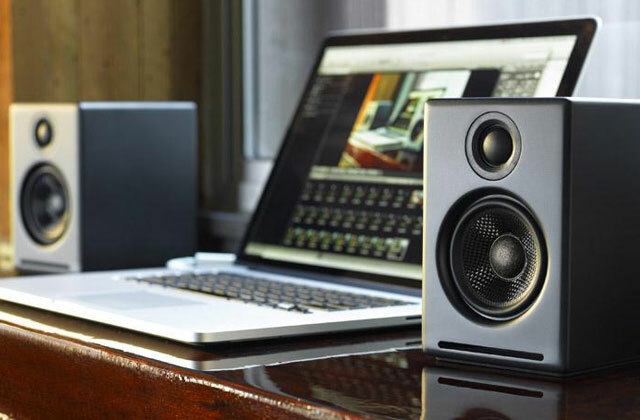 This model has the standard form factor, so you can use it with any PC or laptop. It will also enable fast and reliable data transfer thanks to the integrated SATA III interface. The use of the Dynamic Thermal Guard Protection allows seamless and stable operation of the disk, preventing it from rapid overheating even under abuse use. Whenever the temperature rises, the system automatically decreases it. Also, the Samsung 850 EVO SSD boasts of the energy-conservative technology and sleep mode, which allows its use with laptops and ultrabooks in different conditions. The Samsung 850 EVO boasts of fast write (530 MB/s) and read (540 MB/s) speeds. In addition, you can take advantage of RAPID mode which enables speed increase in data processing at the system-level through using DRAM memory modules of PC as the cache. 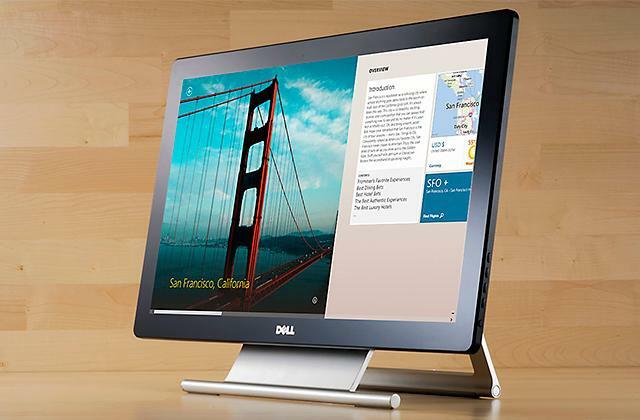 Installing Navigator software will let you transfer quickly all your data from HDD to SSD. The 3D V-NAND technology allows 25% faster operation. This is a well engineered solid state disk. You can choose among 120GB, 250GB, 500GB and 1TB SSDs capacities. 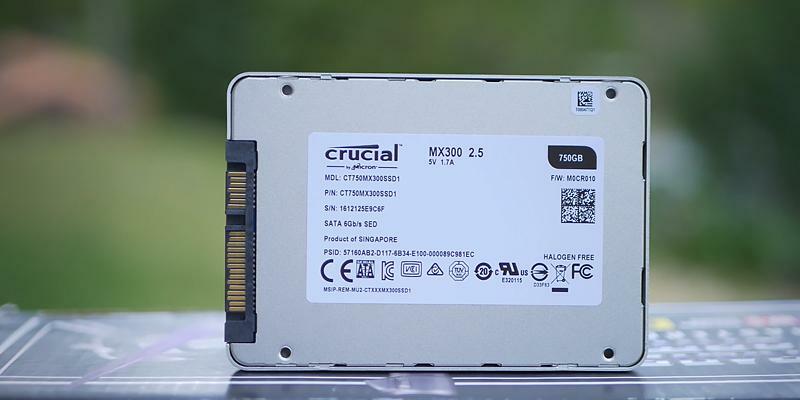 If you need to host a server, or you've got a lot of data that take a lot of the internal memory of your PC, you should definitely take advantage of the Crucial MX300 with 2TB capacity. 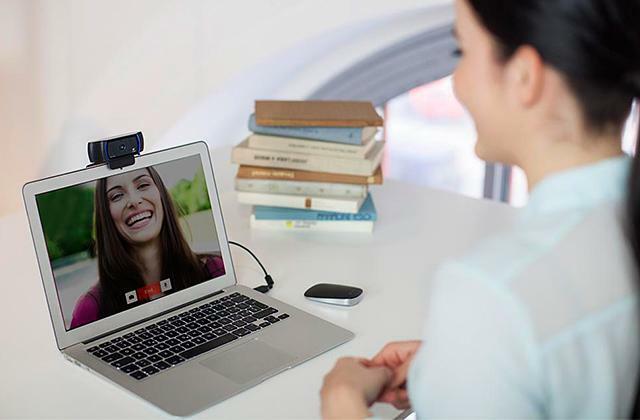 The Crucial MX300 has a standard form factor - 2.5 inches, meaning that it can be seamlessly integrated with desktop computers, laptops, and Apple devices. The drive uses a reliable MLC NAND memory flash technology, ensuring that none of your data is going to be lost. At slightly lower write/read speed, the Crucial MX300 solid state disk can easily compete with more expensive SSD hard disks. 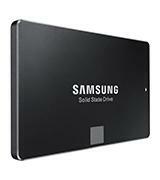 You will not see a noticeable difference in performance of this drive and the one, say, from Samsung EVO series. 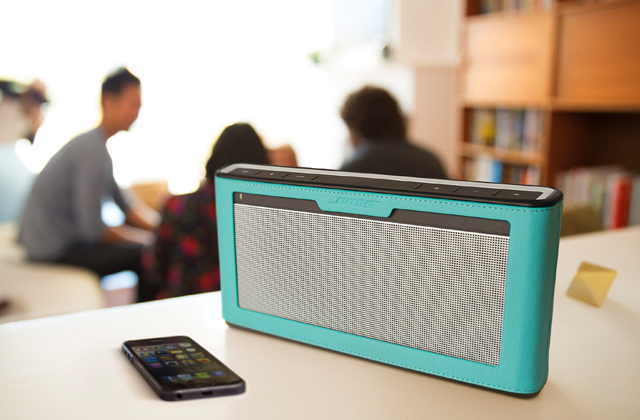 So, if the name of the brand is the last thing you want to pay for, you'll not regret buying the Crucial MX300. 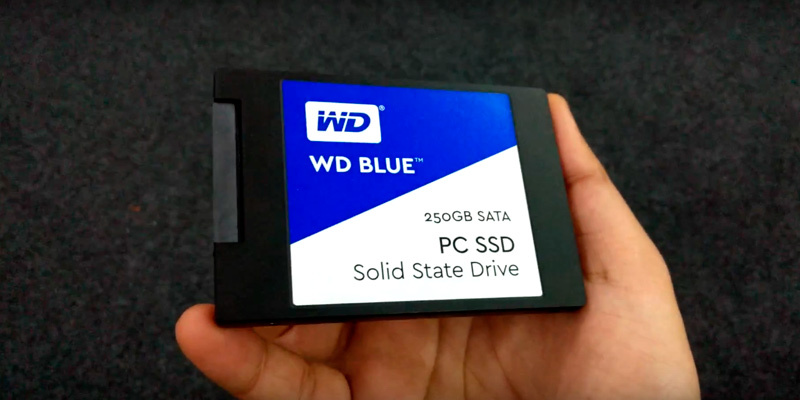 Let's take a look at the SSD drive from a well-known Western Digital company which, for user's convenience, produces their disks in different colors. 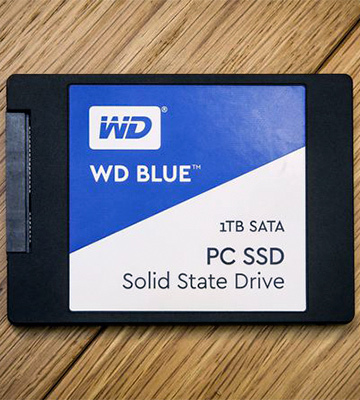 This way, you can find WD SSD hard disks in blue, black, and green colors. For this review, we've decided to pick WD Blue S250G1BOA which, according to the company's classification, conveys the concept of "Solid performance and reliability for everyday computing". You may not want to use it for storing really huge volumes of data, but it will surely work great as a system drive. The capacity of 250GB will enable you to free a lot of usage space on your HDD, providing ample room for OS and a few more resource-intensive games. Calling the Blue SSDs series reliable, the company covers its solid state drive with a 3-year warranty and promises the mean time between failures of approximately 1.75 million hours, which basically means up to 100TB of the total recording capacity. Speaking of performance specifications, this solid state drive boasts 540 MB/s reading speed, which is very decent, as compared to the disks with the same capacity produced by other brands. The writing speed in perfect conditions may reach 500 MB/s, which is also quite high. 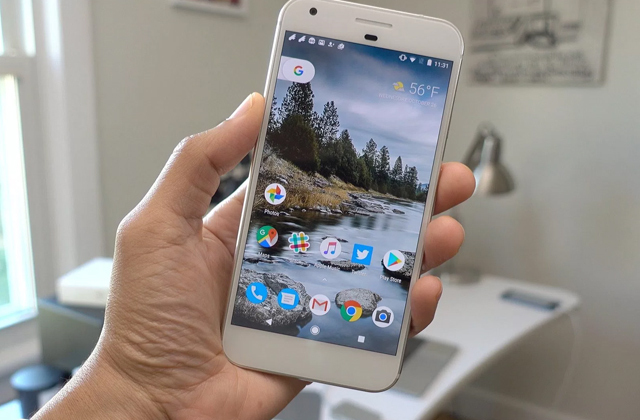 Usually, the speed rates are directly affected by the memory capacity (the bigger the faster) and the interface connection. With regards to the WD Blue WDS250G1BOA, you get SATA II, a good interface, however, not the fastest. 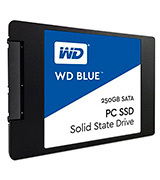 The WD Blue WDS250G1B0A Solid State Drive is a flash of a standard 2.5" form factor. 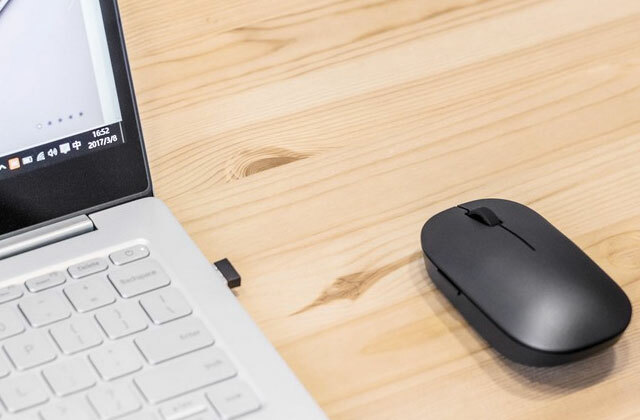 To make it more versatile, the manufacturer designed it with several mounting holes on top and on the side of the drive, so it can be installed both in a system unit and in a laptop. For user's convenience of use, the drive features a special WD SSD Dashboard where you'll find the information on its current status such as disk temperature, free space, etc. It also enables you to run some testing and monitor the usage status during a set period of time. The software is free for download and can be found on the WB official website. This solid state drive disk will become a good choice for those users who don't want to overpay for the features they ain't going to use but who nevertheless want to get a quality product with decent specs. In addition to the branded WD SSD Dashboard software the company offers a special application for cloning disks - Acronis® True Image™ WD Edition. With this software, users can divide the drive into several disks, format them, and assign each division to its own name or letter. If your HDD is of the same brand, this software will also enable you to transfer all data from it onto the SSD, sparing you the need of doing it all manually. 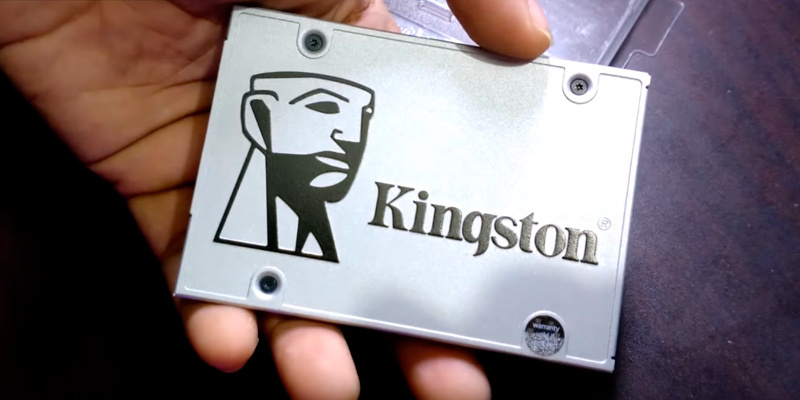 Let's bring into view the Kingston UV400 SSD, which, in spite of its rather low price, boasts very good performance characteristics. 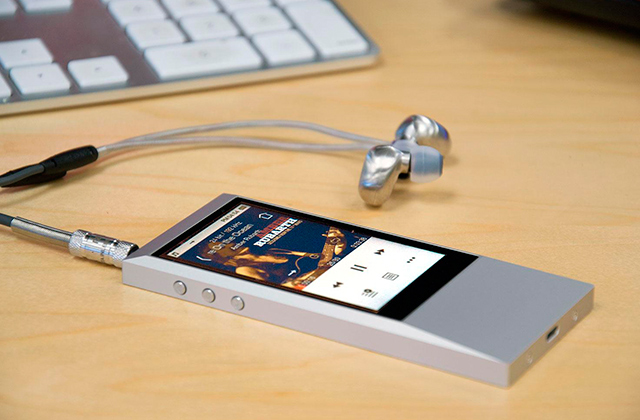 It is 240GB model, although you can choose from the capacities of 120GB, 240GB, 480GB and 960GB. The capacity of 240GB, being quite average, is yet the most popular, because a lot of users simply don't need more. It will provide ample room not only for storing OS but also for a couple more games or resource-intensive software. 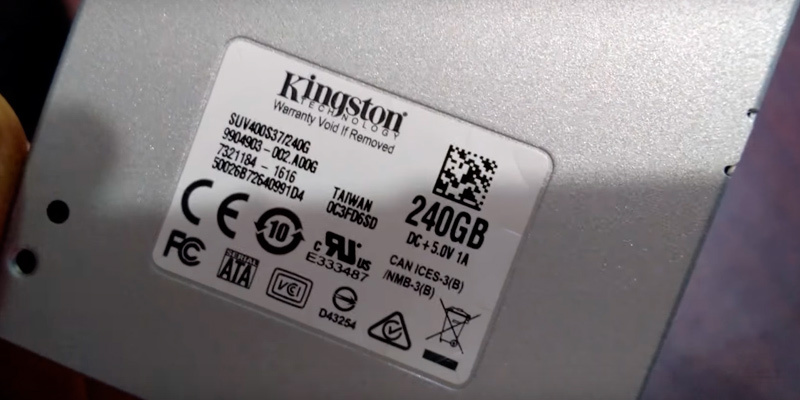 On par with solid state drives of other brands, the Kingston UV400 SSD is covered by a three-year warranty. Its total record capacity makes up to 100TB, which gives you about 91GB per day on average. Pretty good numbers for the SSD with this price tag, aren't they? Toshiba chips with TLC-type cells and 15 nm process technology as a memory of the flash enable the drive to reach 550MB/s of reading speed and 490 MB/s of writing speed. Given the price of the SSD, these rates are very good. 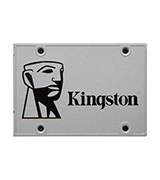 As for the interface, the Kingston UV400 uses the fast SATA III that is common for all modern PCs and laptops. 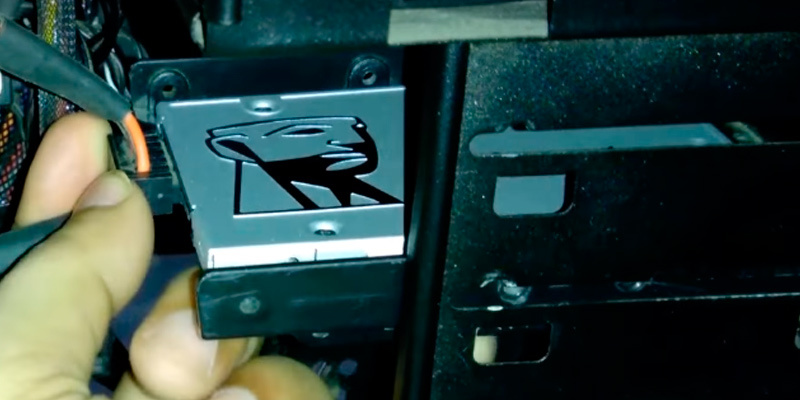 However, it doesn't mean that it cannot be used with an older computer that has SATA II interface connection. It will work just fine with it too. The other problem that you can fix with the Kingston UV400 is annoying operation noise of PC. Unlike HDDs, it works very quietly. 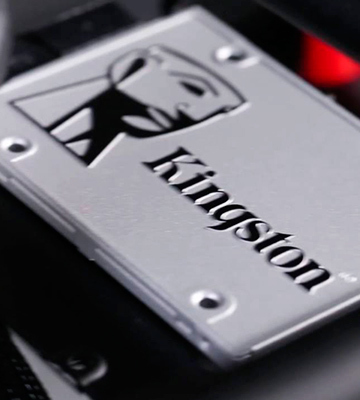 To monitor SSD performance and statistics, you can download for free a special SSD Manager application from the official website of Kingston. In this app, you will find information on malfunctions and errors that need to be fixed as well as will be able to run a quick diagnostics of the drive. Summing up, we'd like to say that this UV400 SSD has become a worthy upgrade of the 300th series of Kingston solid state hard drives. At a good price, you can get this drive and drastically speed up your old computer performance. One of the remarkable features of this model is its low power consumption which equals 0.672 W when idle and a little bit over 2.5 at maximum load. And if these rates might not impress regular PC users, the owners of ultrabooks and netbooks will definitely be pleased. The American company SanDisk is one of the most famous brands, which was purchased by even more famous Western Digital in 2015. Today, you can see the SanDisk sign on external HDD and USB drives, memory cards and even MP3-players. 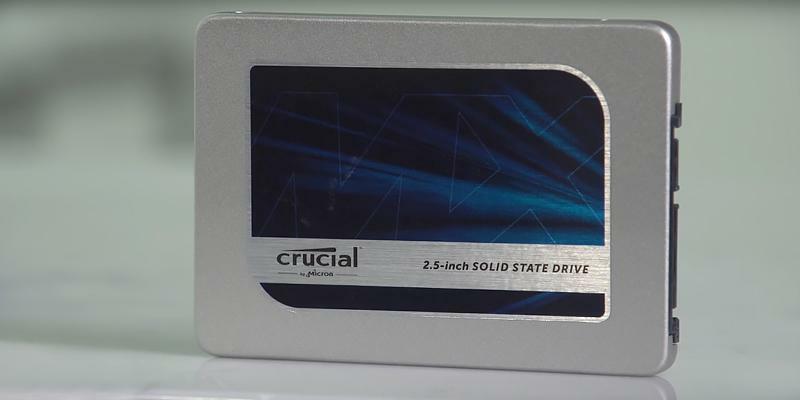 Since recently the company started to produce solid state drives too. On our shortlist is its SSD with the capacity of 240GB of the Plus series, which, being an average memory storage, is still very popular among users (although there are 480GB and 960GB are available too). The distinguishing feature of this drive is that its shock resistance reaches up to 1500G, which means its operation remains stable in the conditions harsher than normal. As for the internal memory resources, according to the manufacturer, it makes up to 1.75 million hours. Superb! The SLC memory type is in charge of this model performance. Notice that this memory has single-level cells which are characterized by their high speed and good endurance. Installing the given model on your computer will make your laptop (or PC) run 20 times faster.The writing speed here is 530 MB/s; the reading speed is 440 MB/s. If compared with solid state drive disks of other brands that we've reviewed here, the reading speed of this drive isn't very high. However, if you don't plan to use it for data transfer it won't really matter. The SanDisk is supplied with a step-by-step instruction; however, its installation is a breeze. You will only need four screws and a cable. Also, we'd recommend you to download the SanDisk SSD Dashboard, a free application available on the official website of SanDisk. There you'll get a whole range of tools for monitoring your SSD performance. When installing an SSD drive in a laptop, make sure to read the manual and find out whether or not you will need to get any additional adapters separately. 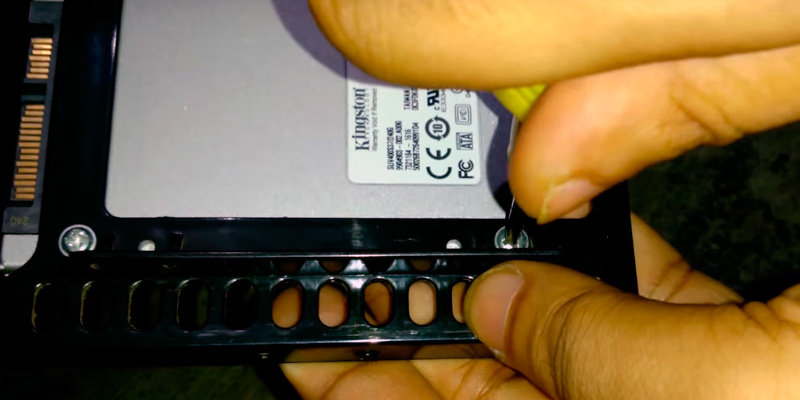 If not, you will only need to remove a special lid on your laptop, take HDD out, and put in your new SSD. 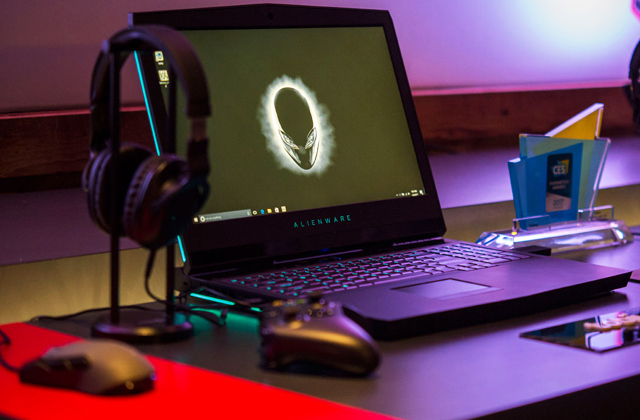 The important specifications that should be taken into account when buying a PC or laptop include the processor speed, RAM size, Wi-Fi capability, and, of course, memory capacity of the hard disk. The latter one is probably one of the most crucial parameters which tells you of how much information can be stored on the device. The problem with most HHDs, however, is that they don’t seem to be able to cater to the needs and requirements of modern users anymore. They run pretty slowly, they are quite loud, and they don’t have such a great effect as they used to after their appearance. This is where SSD technology comes helpful. Modern SSD flashes have bigger capacities, they don’t have any removable parts, they are much more resistant to external impact, and they are simply just great. It’s not surprising that they gradually rule out HDDs from the market. 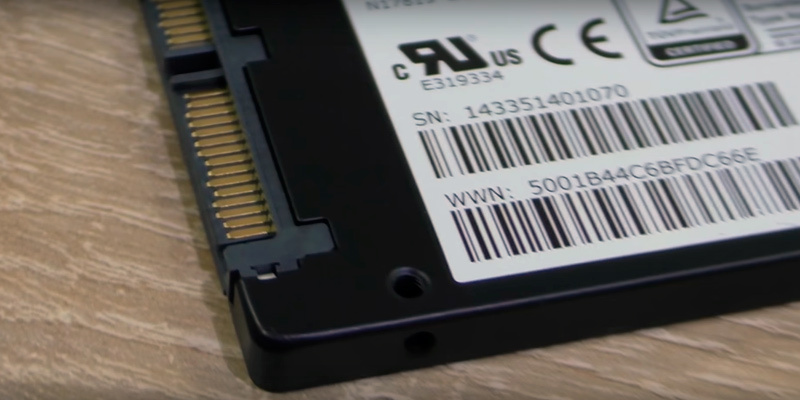 SSDs can help boost performance and speed of your computer. However, you may still want to upgrade the graphics card of your PC to be able to run resource-intensive editing software and play 3D games. 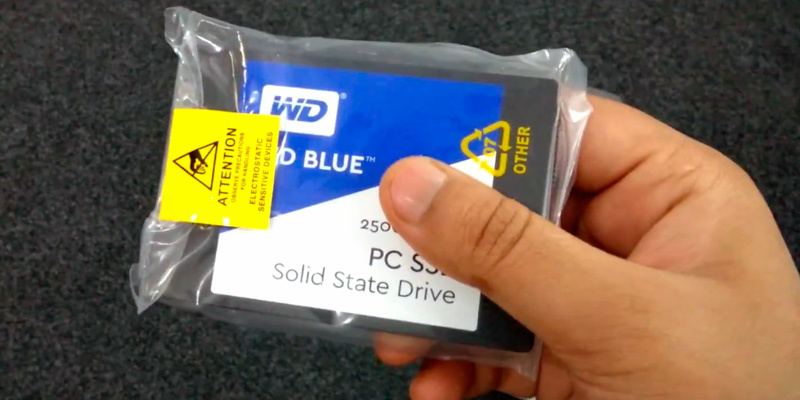 For many people, choosing an SSD drive can be a challenge. How to choose the device that will have all the required specifications? What parameters to take into account? In this review, you should be able to find answers to many of the questions related to the SSD selection problem. First of all, you need to decide on the capacity that you need. Will you be using it as a main memory of your computer or it will be an additional memory storage? Solid state drive capacity usually varies from 60 to 500 Gb. 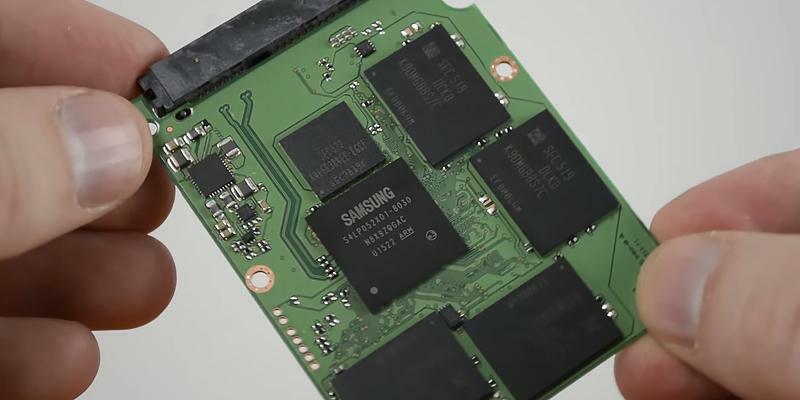 In practice, a lot of consumers use SSDs as a memory storage for OS, while the internal HDD memory, they usually allocate for other media files. If you like this idea too, the capacity of 60-250GB of a solid state hard drive will surely suffice. 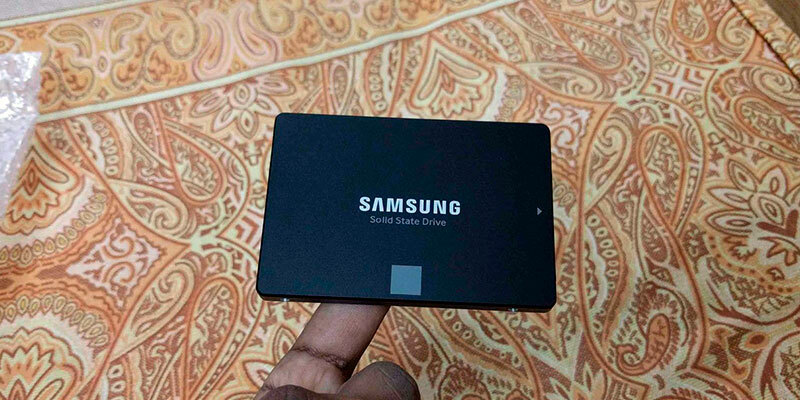 SSDs have a different form factor which determines its size. Most solid state drives have a standard 2.5-inch form factor which is suitable for almost all laptops and PCs available on the market. Although, you're likely to find disks of a smaller size that will also work if connected with a 2.5-3.5" adapter. 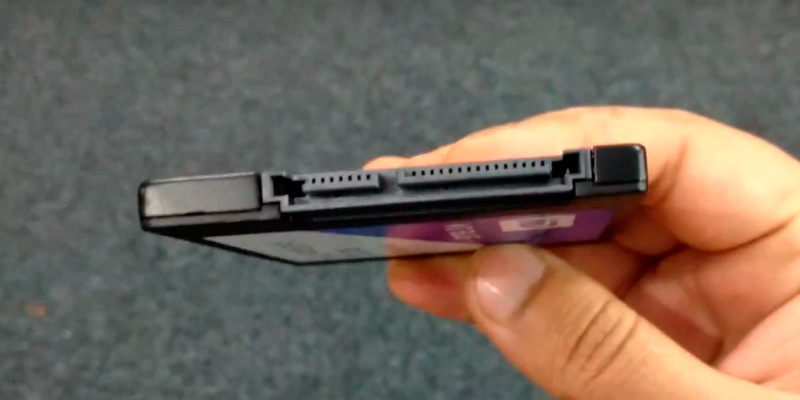 SSDs may have either PCIe or SATA (II or III) interface connection. SATA III is commonly considered the fastest connection and enables the disk to work at up to 6GB/s, which is twice as fast as SATA II. Make sure to check the read/write speed of the chosen solid state hard disk. Although this may sound self-explanatory, the higher the numbers the better the performance will be. Anyway, you should understand that manufacturers usually provide numbers that are achieved only in normal conditions. In reality, though, these numbers may drastically differ from those given in specifications. You should also consider the number of re-recording cycles. Modern SSDs fall into two main types: MLC (Multi Level Cell) that provide up to 10,000 cycles and SLC (Single Level Cell) with up to 100,000 cycles. For our review, we've picked the SSDs which employ the MLC technology and are considered to be the best price-to-quality ratio. Q: Where can solid state drives be used? A: The solid-state drive (SSD) is a computer non-mechanical storage device based on memory chips, so it is designed to store information. Currently, solid-state drives are used not only in compact devices such as laptops, netbooks, communicators, smartphones, and tablets, but also in stationary computers to improve their performance. They are suitable for both professional and personal use. Q: What about the size and weight? Are they heavy? A: More compact form factors were developed specially for the solid-state drives. As a result, compared to traditional hard disks (HDD), the solid-state drives have a smaller size and weight and the speed is much higher, but they are not so durable. According to the lower durability, it is reasonable to purchase a reliable model in order not to get into trouble while working or gaming. Q: Do these devices tend to make much noise? A: Generally, no. The solid state drives have no moving parts, it is some kind of "one-piece construction", hence there is virtually no noise. 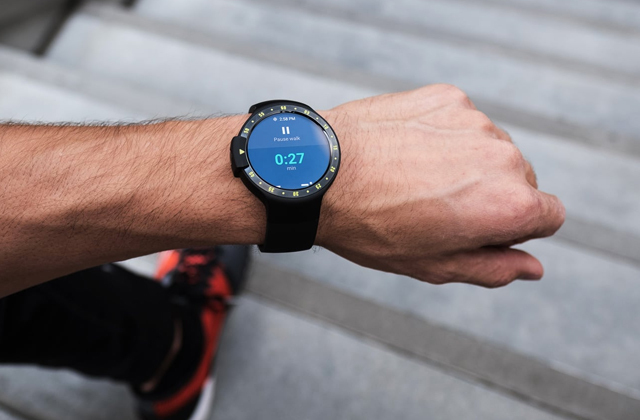 It should be mentioned that this feature is rather advantageous, especially if you are used to working or playing at night or early in the morning, while your loved ones are sleeping. It is also extremely convenient if you have a baby. Q: Are the writing and reading speed of these media better than they were before? A: Actually, yes. The read/write speed is higher than that of popular hard disks. And, in some operations, it may be close to the bandwidth of the interfaces (SAS/SATA II 300 MB/s, SAS/SATA III 600 MB/s). 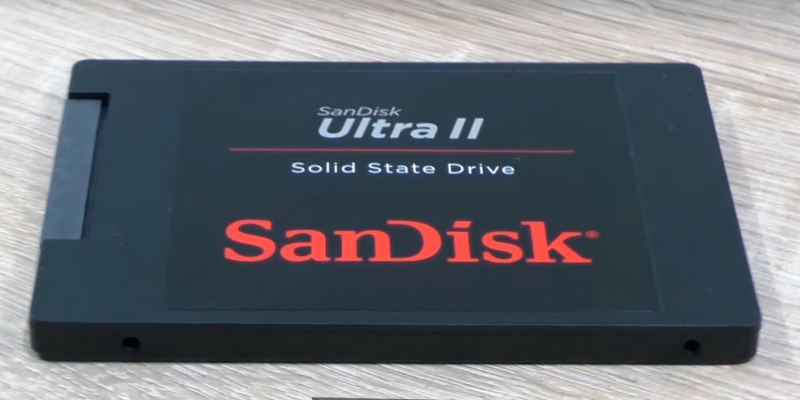 Solid state drives can be implemented with faster interfaces: SATA III, PCI Express, NGFF (M.2, in versions with PCIe), SATA Express, NVM Express (standard for connecting SSD via PCI Express bus), etc. That makes them more and more popular. Q: Is the device efficient in terms of energy consumption? 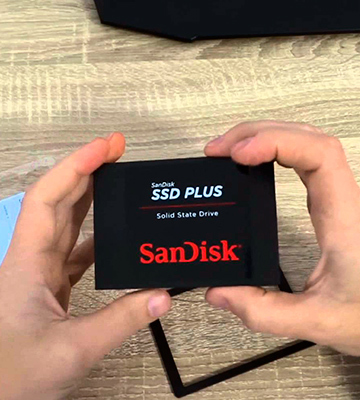 A: Talking about this characteristic, it is quite reasonable to install a solid state drive in your computer or a laptop. 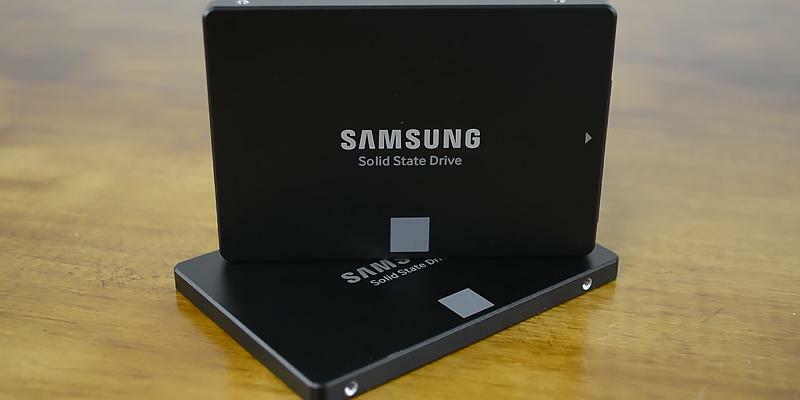 The SSD features rather low energy consumption, so the advantages are plain to see. Q: Are there any risks that the solid state drive will be affected by the external electromagnetic fields? A: These devices are less sensitive to external electromagnetic fields, so SSD will hardly be put out of operation unless you put it into the microwave oven and turn it on, of course. Q: Is it difficult to install a new solid state drive in a computer or a laptop? A: Any HDD can be replaced with an SSD. It is just necessary that the interface of the drive connects. And, by the way, for the user, replacing the HDD to the SSD, the process does not change at all. So formatting, partitioning, installing and reinstalling the operating system can be done exactly as it was usually done using a hard disk. 1. 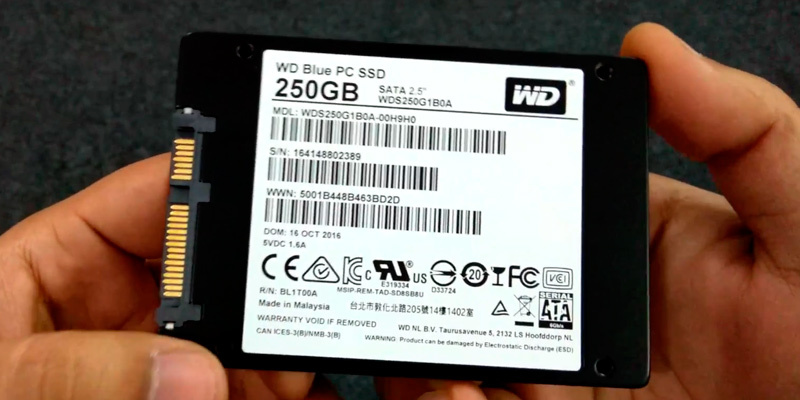 Joel Lee 5 Things You Should Consider When Buying An SSD, MakeUseOf. August 7, 2015. 2. Solid-state drive, Wikipedia. November 9, 2016. 3. Mark Kyrnin SSD Buyer's Guide, Lifewire. October 9, 2016. 4. 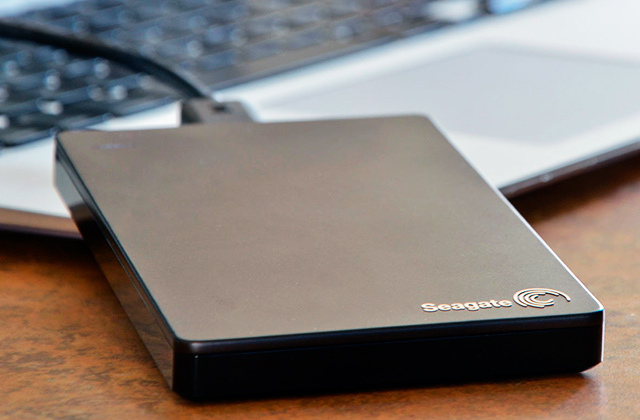 Adam Dachis The Complete Guide to Solid-State Drives, Lifehacker. February 7, 2014. 5. Matthew Murray How to Buy an SSD, PCMag. September 6, 2012. 6. Chris Martin How to install an SSD in your PC, PC Advisor. January 25, 2017. 7. 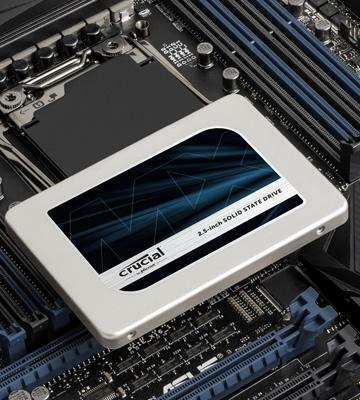 How to install an SSD in your desktop, Crucial. 8. Margaret Rouse SSD (solid-state drive), TechTarget. 9. Allen Bethea Features of Solid State Drives, Chron. 10. 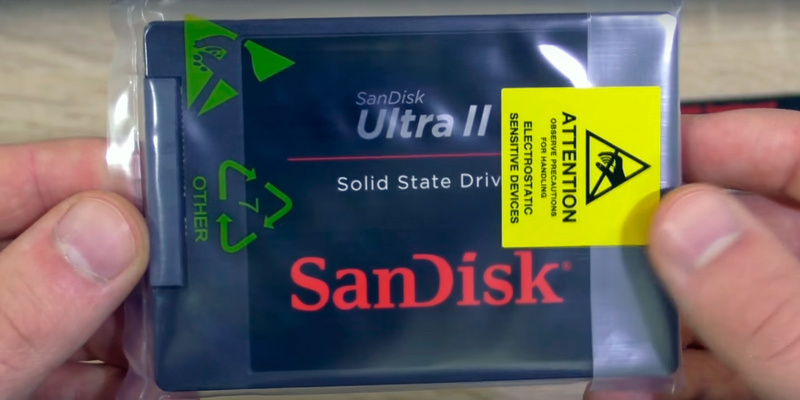 Jason Fitzpatrick What Is a Solid State Drive (SSD), and Do I Need One?, How-To Geek. March 8, 2011. 11. Patrick Schmid and Achim Roos Should You Upgrade? From A Hard Drive To An SSD, Tom's Hardware. October 6, 2011.